I have some friends in heaven, who are waiting there for me to be their lead-off, anchor-man, or sub; whichever spot they need. 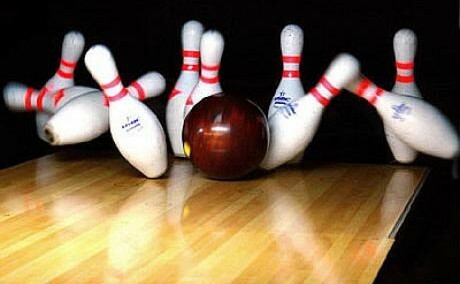 The balls will be thunder the pins will fall like rain, and each strike will be a rainbow, a spare will be the same. There’ll be the grandest tournament, where old friends congregate and they’ll all be there to meet us, as we gather by the gate. We miss our friends of days gone by, who remain within our hearts; I often think that they are with us, as each new season starts. I wonder as I see a star cascading in an arc across a sea of blue; it surely has to be a friend who’s thinking of us too. There has to be a place for us, among our friends of old. Oh, we miss our friends of yesteryear, but I know within my heart they’ll all be there to sign in, as from Life’s train we depart. For a full list of members please click the association that was current at the time of passing.